New York, Dec. 29, 2011 /PRNewswire via COMTEX/ - Reportlinker.com announces that a new market research report is available in its catalogue: Global Magnetic Field Sensors Market by Product (Angular, Revolution, Current, Position) by Technology (Hall Effect, Magneto Resistive & Inductive, Fluxgate, Squid), & Applications (Consumer, Automotive, Industrial, Aerospace & Defense) 2011 - 2016. Magnetic field sensors are expected to show good growth as they are widely used across different application segments. Early applications for these sensors were essentially direction finding, or navigation. Today, these sensors are still a primary means of navigation but many more uses have evolved. Automobile industry is a heavy user of magnetic field sensors; accounting for almost 40% of the total magnetic field sensors market. One of the largest applications for magnetic field sensors in automobiles is in anti-lock braking systems (ABS) and engine control management systems. 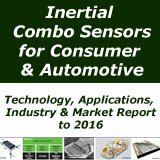 Traditionally, the combined consumer and computing segments form the largest user base for magnetic field sensors. Typical applications include cameras, DVD players, hard disk drives, video-cassette players, printers, cell phones, and washing machines. The other verticals such as healthcare and defense are also contributing to the overall demand. Besides, the increasing use of these sensors in other applications; especially mobile handsets will boost sales. Magnetic field sensors are being used as compass in handhelds and give increased sophistication to GPS solutions. Electronic compass is expected to give a much higher thrust; with the volume of sales set to treble form its level in 2010. 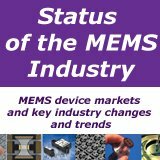 Developed markets such U.S., U.K., Japan/Korea are amongst the most technologically advanced consumer electronics as well as automotive markets due to the presence of prominent system suppliers, large semiconductor companies, and sensor manufacturers. The size of the region, the affluence of its consumers, and the competitiveness make it a good market for magnetic sensor manufacturer. Most of the innovations in electronics design and technology are deployed in these regions first; and then in rest of the world. Hall Effect sensors dominate the magnetic field sensors market with more than 70% market share, while newer technologies such as AMR and GMR sensors are gradually gaining visibility. The main suppliers of Hall Effect sensors are Allegro, Micronas, Melexis, Austria Microsystems, and AKM. The major vendors of AMR sensors are NXP, Sensitec, and Honeywell, while the main GMR sensors suppliers are NVE Corporation, and Hitachi. 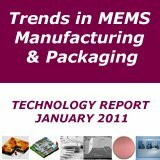 The demand for magnetic field sensors in the year 2010 was 3.67 billion units; which are expected to reach 7.14 billion units in 2016 at a CAGR of 10.3%. 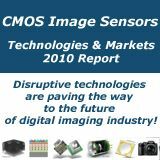 In value terms, the magnetic field sensors market stood at $1.1 billion in year 2010 and is expected to reach $2.0 billion by year 2016, at 8.7% CAGR during the projected period. Magnetic Field Sensor Market is triggered due to a lot of factors. 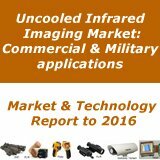 For magnetic sensor market, vehicle production in emerging markets, increasing demand in gaming consoles, increasing popularity of electronic compass, and continuous demand from computer and computing peripherals are acting as a driver’s. Competition within the technologies, inconsistence in magnetic field strength, and unavailability of strong aftermarket are acting as restraints. The advancement of hybrid sensors and growth in hybrid and electric vehicle are the future opportunities for magnetic field sensors. 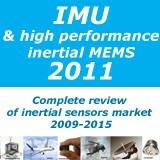 LONDON – 18 January, 2012 – Despite the negative impact of the 2008 economic recession, the global flow sensors and transmitters market is expected to grow. The rising number of projects, the establishment of new process plants, the financial recovery of numerous end-user industries, as well as reinvestment in plant renovation, modernisation, capacity expansion and technology development have led to a market resurgence. 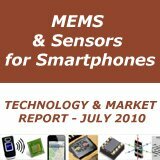 New analysis from Frost & Sullivan (http://www.sensors.frost.com), Global Flow Sensors and Transmitters Market, finds that the market earned revenues of $4,847.6 million in 2010 and estimates this to reach $6,423.8 million in 2017. Another key market driver is the rising emphasis on energy efficiency, with better asset utilisation, reduction in maintenance costs, and enhanced process monitoring. Automation and control solutions (including field instruments) also play a vital role in achieving these goals, resulting in heightened demand for flow sensors and transmitters. These trends are spreading to emerging economies, where the increased use of automated products is poised to boost demand for all types of sensors, including flow sensors and transmitters. While the market offers significant growth potential, participants will have to focus on successful product differentiation to avoid price-based competition. This will not be an easy task, given that there is little technical innovation taking place in flow sensor technologies such as positive displacement and turbine. It will be challenging for manufacturers of such products to differentiate themselves from their competitors. 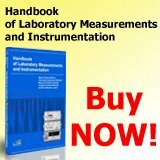 Accuracy and reliability are the major selection/purchase criteria in this market. Therefore, manufacturers should be willing to invest heavily in research and development (R&D), engineering and configuration to take accuracy and reliability to the next level. R&D will also pave the way for the development of feature-rich flow sensors and transmitters, which are other important customer requirements. Global Flow Sensors and Transmitters Market is part of the Sensors & Instrumentation Growth Partnership Service programme, which also includes research in the following markets: World Fiber Optic Sensors Markets, World Torque Sensors Market and World Proximity & Displacement Sensors Markets. All research included in subscriptions provide detailed market opportunities and industry trends that have been evaluated following extensive interviews with market participants.